I love creating! Specifically things that build confidence and help you grow into your best self, so it’s no wonder that I am also a natural foods chef that gets to create meals that make people feel better. I lived in Hawaii for the past 5 years where I met my husband who is in the military. Since he was gone a LOT, I decided to use my free time to pursue makeup artistry on the side and was so happy there was a program that allowed me to do this at my own pace. We are currently stationed in beautiful Charleston, South Carolina where I plan to have my own food truck and a side makeup artistry business! On your blog you say that you “fell in love” with the “artistry” of makeup. What about the beauty world inspires you as an artist? I think that I fell in love with the fact that makeup brings out so much different beauty in people. There are so many things you can do with makeup and the best part is that your face is a canvas that you can keep experimenting with. I also love how good I feel when my makeup is on point. Sometimes that is with very little makeup or sometimes that is full glam. Either way, the boost of confidence definitely stays with you through the day! You’re actually a trained chef! 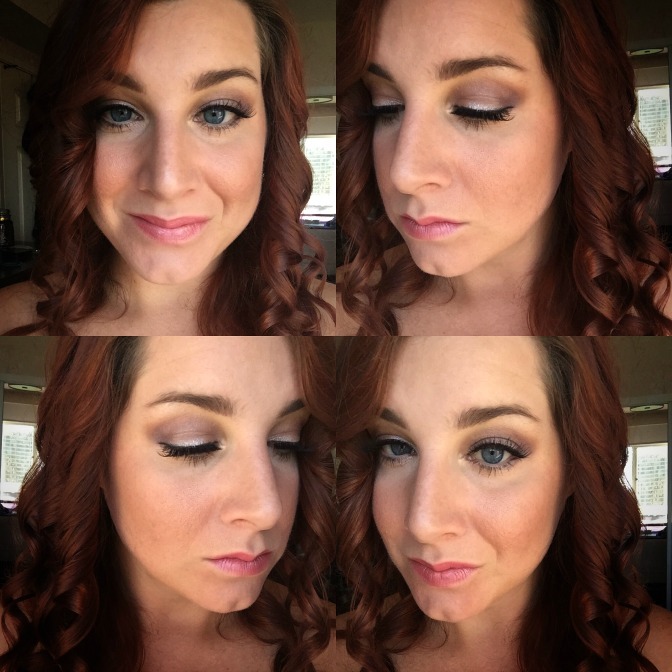 Are there are any similarities to the way you approach makeup? Absolutely! To be honest, even as a chef…I don’t usually follow recipes! I love creating my food with what “feels” right and most of the time that works out for me. I feel like that is the same way with makeup. I’ve watched tons of tutorials and know all the basic foundations of makeup, but when it comes down to it, having your own decision about colors, intensity and overall wow factor and what feels right comes from practice and passion—which is exactly how I approach anything I do creatively. Do you have a favorite assignment? Tell us about a new technique that you learned! My favorite assignment is basically any that I have to do on someone else. You can only do your own face so many times before you get to know it. The real challenge with makeup artistry is being able to learn others faces in such a short time! It gets easier with practice and it pushes me out of my comfort zone to gain more confidence in my skills. With that said, a new technique I learned was to make my potential client comfortable because that is SO important! 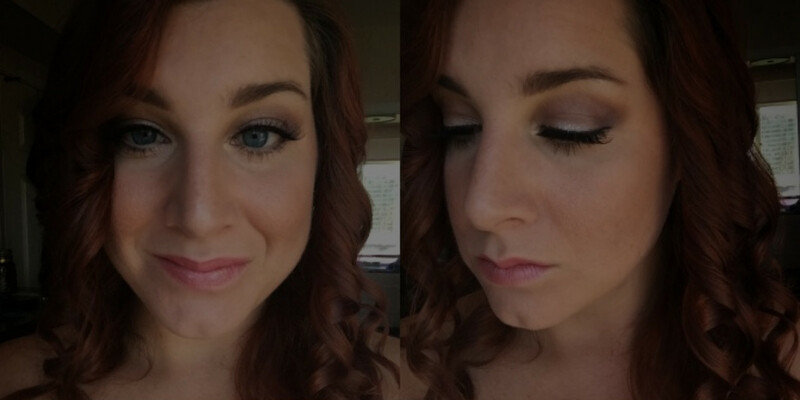 What’s your favorite kind of makeup look to apply? 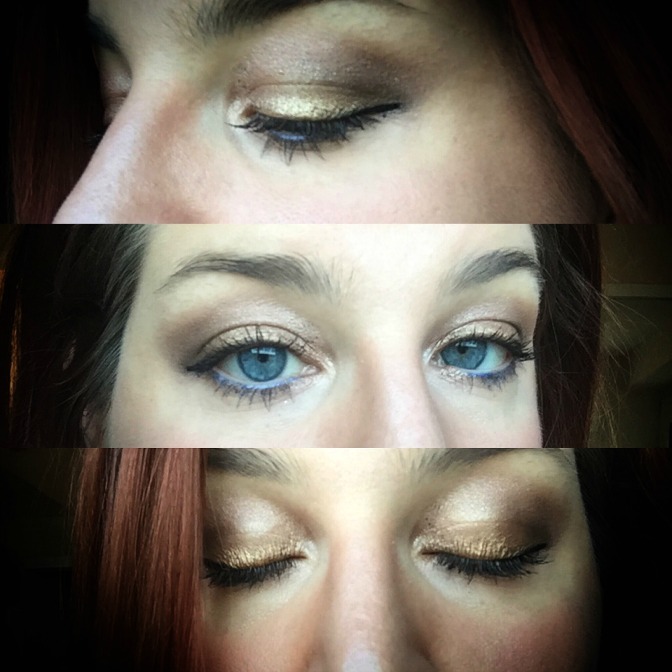 I love any look that makes the color of someone’s eyes POP! I love using the color wheel to use eyeshadow that is opposite the eye color to make a statement. Pair that with some winged liner and mascara and rock it. The best part is that everyone’s is going to be different! 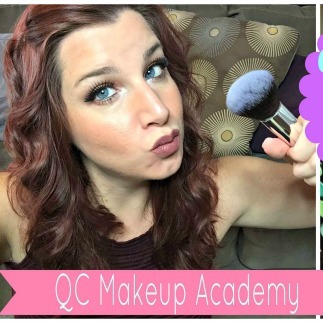 What’s been the highlight of your student experience with QC Makeup Academy so far? Do you have any advice for current students? The highlight for me was being able to take something that I liked doing into something more serious. The fact that it fits around my life is my favorite part about it, even with being a busy career girl and moving across the country. I am STILL working on the program and hope to finish by summer of 2017! My advice for students at this point would be to keep practicing and keep trying new things. People say that they are jealous when I get that perfect wing, but little do they know there were a LOT of broken wings before I was able to get the hang of it. What helped me was to also create a challenge for myself which I did on my YouTube channel. 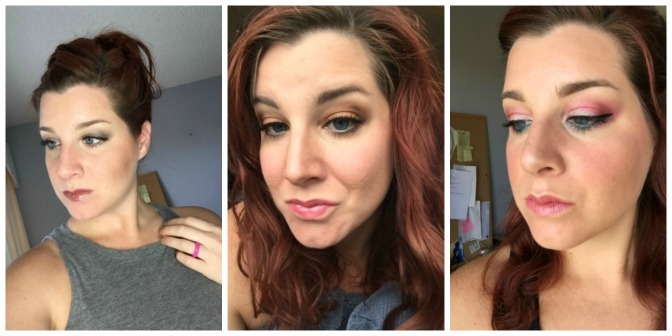 I called it the FACE IT challenge where I vowed to do my makeup every day for two weeks and recorded every step of the way. It was at the end of the challenge that I decided to pursue makeup artistry with more intent as a business. I’d say eyeliner of any kind! I remember getting in trouble from 6th grade on for wearing it and trying to wipe it off before I got home from school. I believe that it brings out the eyes and pulls the face together like no other one product could. Want to read more QC Beauty Academy success stories? Take a look at our Student Features page for some major MUA inspiration! Should I Switch My Foundation for the Winter? I get more inspired every day!